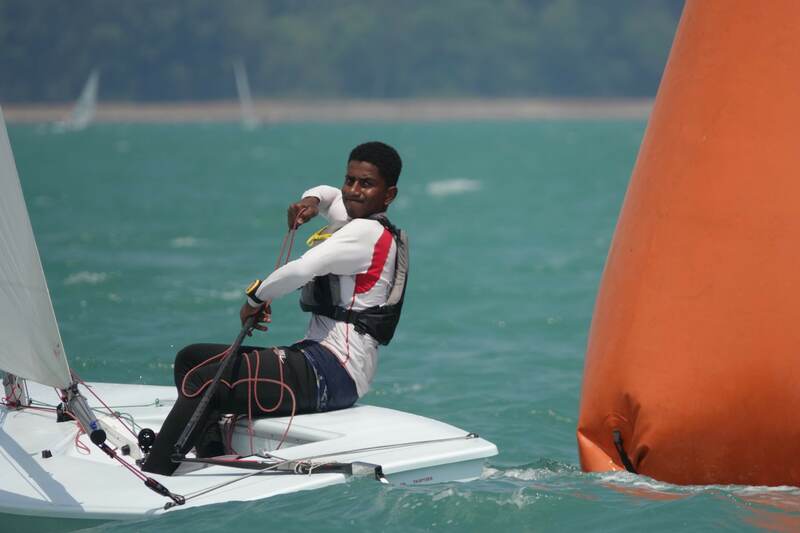 The final Ranking Race selection event has concluded with two Omantel youth squads chosen to represent Oman at international sailing competitions later this year. Mussanah Sport City was the venue for the 3rd Ranking Race regatta of 2018 which saw young sailors from all four Oman Sail sailing schools compete for a place in the Optimist and Laser 4.7 squads. The two-day event on April 27th and 28th also saw windsurfers racing in the Techno Plus and Techno Under-15 classes. For the first time ever a ranking race event was won by Sur Sailing School, the most recent addition to the Oman Sail centres which is supported by Oman LNG. After consistent top-10 results in recent ranking events Sur took the school trophy with 343 points ahead of Mussanah Sailing School (211 points), Al Mouj Muscat (256) and Marina Bandar Al-Rowdha (185). “This is a huge milestone representing the hard work of the sailors and coaches from Sur Sailing School,” said centre manager Said Al Arimi. Sur led the way in the 47-strong Optimist fleet, with Saleem Al Alawi winning the class by a single point from Mussanah’s Al Moatasem Al Farsi, with Al Hassan Al Jabri from Marina Bandar Al-Rowdha in third. 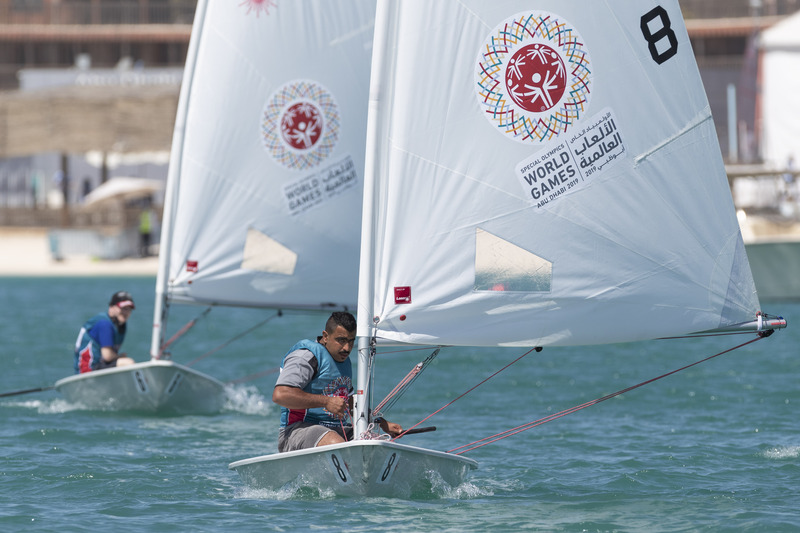 Hatim Al Araimi, also from Sur, was the top junior sailor. All four were selected for the 12-strong Optimist national youth squad, which is chosen on the basis of results from all three ranking race events this year. They were joined by Al Walid Al Araimi (Sur), Salim Al Jabri (Marina Bandar Al-Rowdha), Osama Al Zadjali and Mohammed Al Qasmi, both from Al Mouj Muscat, and Nebras Al Awaisi, Elyas Al Fadhali, Mahmood Al Gharabi and Al Salem Al Hamdani, all from Mussanah Sailing School. Also in the Optimist fleet, Aya Al Habsi was the top female sailor and Ghaith Al Jabri the best newcomer, both from Al Mouj Muscat. 10 years old Al Barra Al Araimi, from Sur, was the youngest sailor at the Mussanah Sport City event. 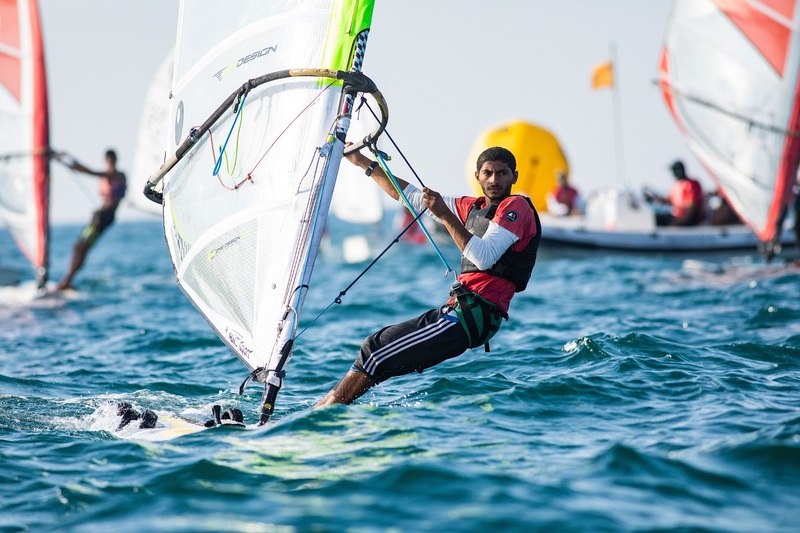 In the Laser 4.7 class Al Mouj Muscat’s Abdulmalik Al Hinai and Adnan Al Mabsali, along with Salim Al Alawi from Marina Bandar Al-Rowdha, seized their places in the 9-strong national youth squad by taking the podium spots. After also taking results from previous ranking races into account, they will join up with Albaraa Al Nofli, Alla Al Amrani and Ali Al Sadi, all from Mussanah, Hussen Al Mansoori, from Marina Bandar Al-Rowdha, and Samiha Al Riyami and Hussain Al Awasi, both from Al Mouj Muscat. In the windsurfing classes Mohammed Al Balushi won the Techno Plus, with Ali Al Sarhi taking top spot in the Techno Under-15 event. The Sport City event was efficiently run by a fully Omani race management team headed by Nawaf Al Ghadani, while the guest of honour at the closing ceremony was Mr Khalid bin Salim Alrawahi, principle of Al Emam Khanbash bin Mohammed School. This was the last ranking event of the academic school year with the selected youth sailors now taking on intense training which will allow them to further develop their talents and then represent Oman internationally. Sailors selected for the Optimist squad will go on to training camps at home and in Turkey, and on August they will compete the World Championships in Limassol, Cyprus. 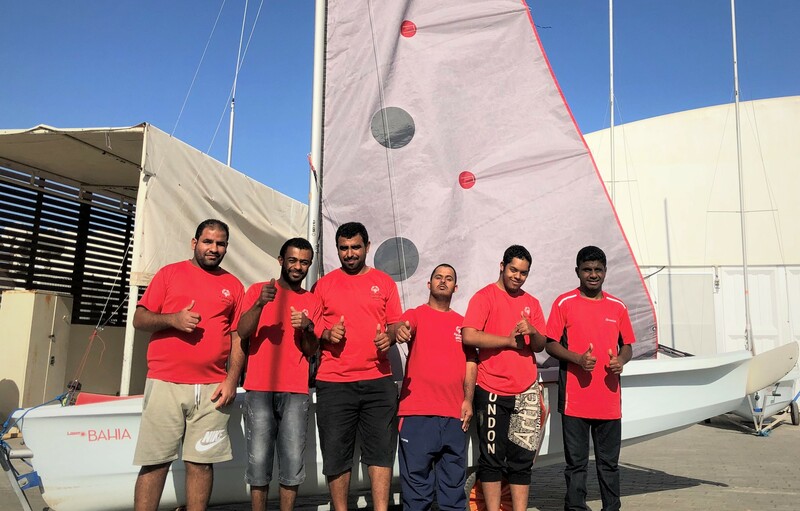 Meanwhile, Laser squad sailors will be training in Oman and at Garda in Italy before going on to June’s Asia Sailing Championship in Indonesia, followed in mid-July by their 2018 World Championship in Gdynia, Poland.